GERMAN auto major Volkswagen on Friday said, it has launched a new version of its compact sedan Ameo in India, priced at Rs 6.69 lakh (ex-showroom). The Ameo Corporate edition has been introduced to cater to corporate and business customers, the company said in a statement. “Through the Ameo Corporate edition, we aim to offer globally renowned standards of safety, quality and fun-to-drive experience to all our customers,” Volkswagen Passenger Cars Director Steffen Knapp said. 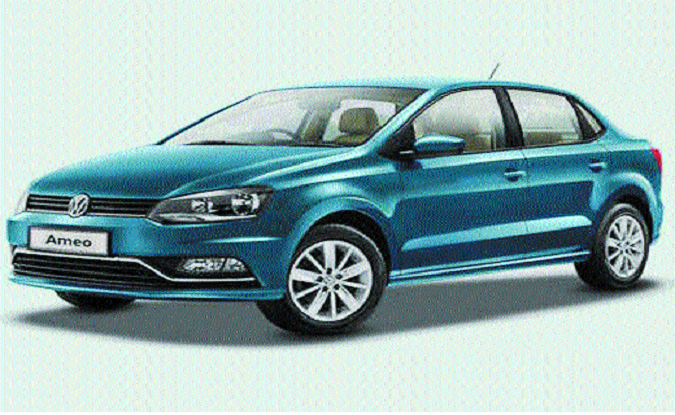 The petrol trim of the model is priced at Rs 6.69 lakh, while the diesel trim is tagged at Rs 7.99 lakh.